I have news, well if you are reading this then you already know. 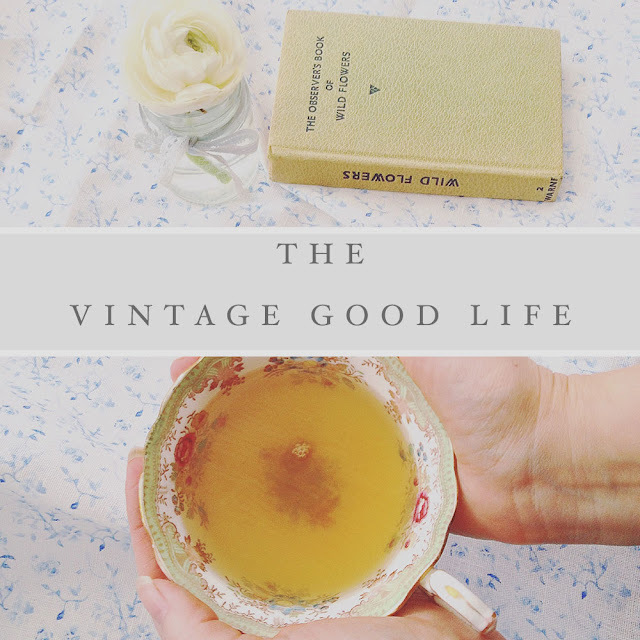 The Vintage Good Life is back! Last year was very crazy and saw the launch of my humble little business take off and go all brand crazy, so much so that I ditched my little blog in favour of my business one that I write over on wordpress. Well, shame on me, and rather silly too. It took the loss of my dearest hound 'Lady' which happened a few weeks back, I can only just begin to speak about her again, I miss her so much. I realised shortly after that my work life balance was suffering too, it had become all about work... all about 'Emma Connolly Designs' and my store, no time for play. I missed my little blog where I could go and pour my soul out, whether anyone reads it or not, it feels good to have an outlet, an open diary. I realised how much I missed the simple stuff, my home, garden even cleaning, all the joy had gone, and it took loosing my dear friend to wake me up. So, in honour of Lady, my faithful hound, The Vintage Good Life is reborn. My place to enjoy the simple things, and share my loves with others.